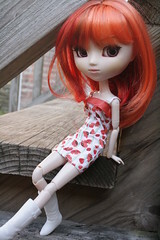 ← A forgotten corner of my apartment..
Skipping blogging another day because I can…I got a Youtsuzu with a stuck eye mechanism during VOTD‘s last OOB sale. 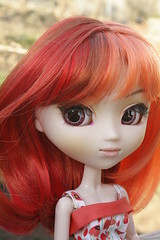 After fixing her eye mechanism, I initially had problems bonding with her so I was actually thinking of trading her for another doll but after learning the Valley was discontinuing carrying Pullip and friends I decided to give her another chance. I tried a red/orange/brown tri-color wig on her and instantly fell in love with her, I decided that I would keep her after all and name her Valley in loving memory of VOTD. Although they no longer carry pullips I still thank them for the time they were an excellent and courteous pullip seller, without them I probably wouldn’t have been able to get my Jouet and Jolie pair who I love dearly. I’m glad I didn’t give up her and decided to dig through my box of spare wigs, I had this wig for a while but never quite found the perfect owner for it. It’s kind of an unusual wig, I am very happy I am finally able to see it come to good use. 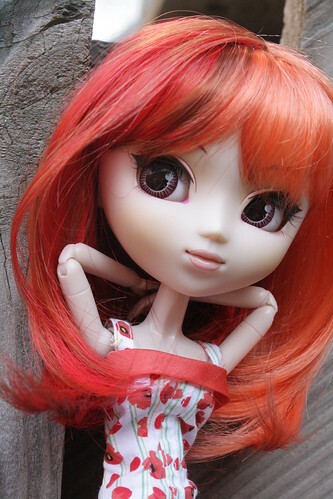 This entry was posted in 365 Photo Project, Doll, Pullip and tagged Pullip, the valley of the dolls, valley, votd, youtsuzu. Bookmark the permalink. Thanks, I am sad VOTD will no longer be selling pullips as they were one of the most trusted sources of pullips but ultimately it was Scot’s decision. I LOVE that wig…LOVE IT! 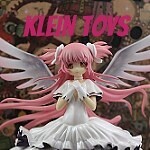 It would look awesome on my Hello Kitty Pullip with her goldfish yukata. Where did you buy it?